Martin Miller’s Gin is a classy product fit for connoisseurs that has won awards on a consistent basis since 2003, including being a 3 time consecutive winner of double golds in the San Francisco Sprits Competition (2006-8). The gin is distilled in England in a single pot three stories high called Angela, made in 1904. The blending takes place in Borganes, a remote village inIceland, 1500 miles from the distillery where the water is as pure as you can find, and not demineralized. It takes ten days by boat from the distillery in Immingham, England, to get to Iceland, sometimes in pretty treacherous conditions, where the blending takes place. They also source the finest juniper and fruits from the best possible places such as oranges from Seville. These oranges are the second most important ingredient after juniper in the making of gin, and these particular oranges are good for the bitterness on the outer rind. 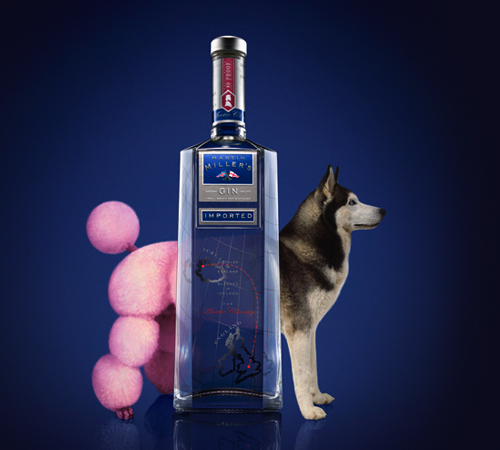 The flavor also produces a perfect counter balance to the juniper, which does tend to dominate other gins. All the botanicals are constantly being checked for temperature and humidity in the distillery. Another trick that Martin Miller pulls is that the peels of the citrus fruits used in the distillation process are distilled separately from the other botanicals, giving the gin that bears his name an extreme clarity of taste. The 750ml bottle retails for about $27.99, and yes there is an entrepreneurial Peter Stringfellow style Martin Miller, who stamped his mark early on by sourcing all the right botanicals from the right places. That means juniper from Tuscany, India or Macedonia, Cassia Bark from China, Northern France or Saxony for Angelica Roots and Florentine Iris from Florence. As with all premium gin distillers, the actual distilling process remains a secret with only three people having knowledge of it at one time. The secret is of course is the juniper berry, which could have been used by either the French or Dutch to make alcohol palatable. For more information on Martin Miller Gin, please visit www.martinmillersgin.com.